Email campaigns are an important component in any firm’s overall content marketing strategy. The ability to share information and inspire interaction with your brand is crucial when communicating with both current and prospective clients. 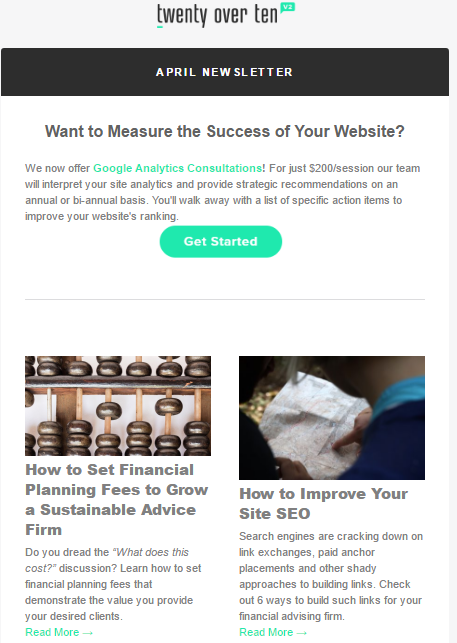 To help optimize your email campaigns, we compiled the top five newsletter best practices to start implementing today. 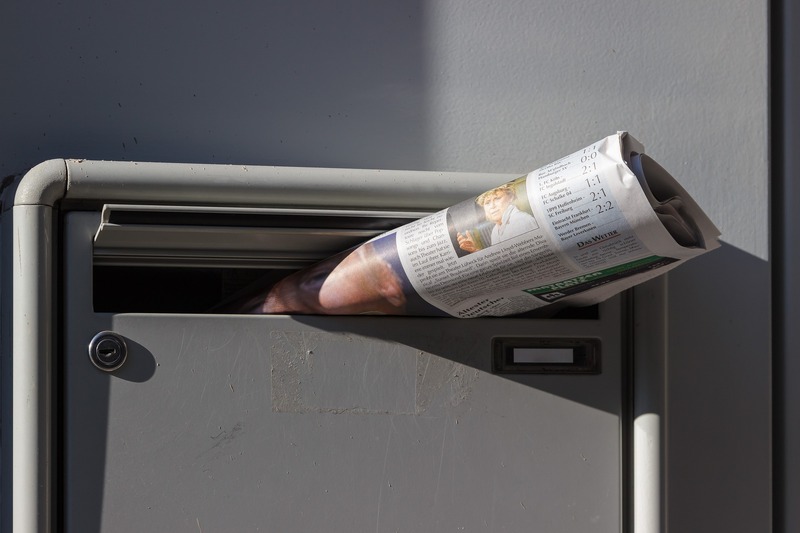 The length of your newsletter content can make or break how subscribers receive your message. While there are no clear-cut guidelines, being concise is a universal best practice. Think about what you personally are most drawn to and would be most inclined to enjoy reading in an email – LESS IS MORE. The importance of keeping it short and sweet continues to become increasingly important as more and more people check their inboxes on their mobile devices via their smaller screens. Generally, interest in the content of an email diminishes as the email extends below the fold. It is also common for people to only read the first few words of each sentence, along the left side of the message. For these reasons, best practice is to write your full article on your blog or website and only provide a summary of the article or topic in your email. Clients that are interested in that topic can then click to “read more” if they are so inclined (this also allows you to track which content gets the most “clicks” in your emails – providing very valuable information on what your users are most interested in). Check out Email Marketing 101: Message Content for more guidance on newsletter and email marketing content. When sending out a newsletter, consistency is key. Your goal should be to send valuable content on such a consistent schedule that your subscribers actually look forward to a certain day/time to receive your messages. To choose which time is best, review your analytics and TEST TEST TEST. Each audience is unique, so your past data on open and click through rates can be a strong indicator of which day/time your newsletters perform the best. You can (and should!) also A/B test the send day/time to see what works best. What’s the first thing that you notice when you receive a new email in your inbox? For most people, the first thing that they read is the email’s subject line. Subject lines determine a person’s initial reaction to that message and often decide if the subscriber opens the email at all. The most important factors to remember when writing your subject lines are to keep it short and straightforward. A typical inbox only shows about 60 characters of an email’s subject line, while smartphones usually only show about 25-30. Be concise and upfront about the email’s contents. If you’re sending out a newsletter, don’t be afraid to use the words “Monthly Newsletter” for example, right in the subject line. This decreases the likelihood that your message will end up in the spam folder and increases the chances that your subscribers think the message is relevant to them and ultimately open it. Want additional help crafting your subject lines? Email Marketing 101: Writing a Strong Subject Line should help! These buttons should be bold, highlighted or colored text that draws the reader’s attention and entices them to click. DON’T include more than two calls to action in one message because subscribers will be conflicted on where to click and will be more inclined to not click at all. Think of your newsletter as a hub, with the spokes being your other marketing channels. Use your newsletter to direct readers to other areas of your online presence, such as your website, blog, and social media channels. As mentioned earlier, your newsletter is not the place for long, thorough content. Instead, provide a quick summary and then link to your blog for the full-read. Or, include brief descriptions and then link to your website for more details. This exposes subscribers to more of your channels, creating rapport, building credibility, and keeping them engaged with your brand longer. 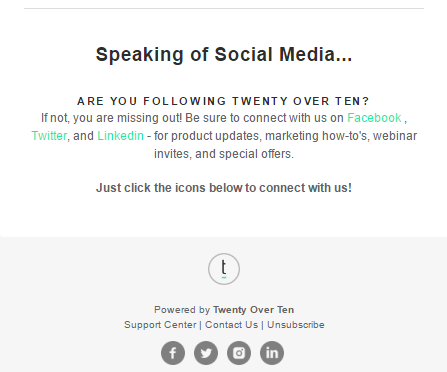 Not sure what to share in your newsletter or your other channels? Check out VIDEO: What to Share in 2017 for more ideas.